Last week I showed you How To Make A Fall Corn Garland. 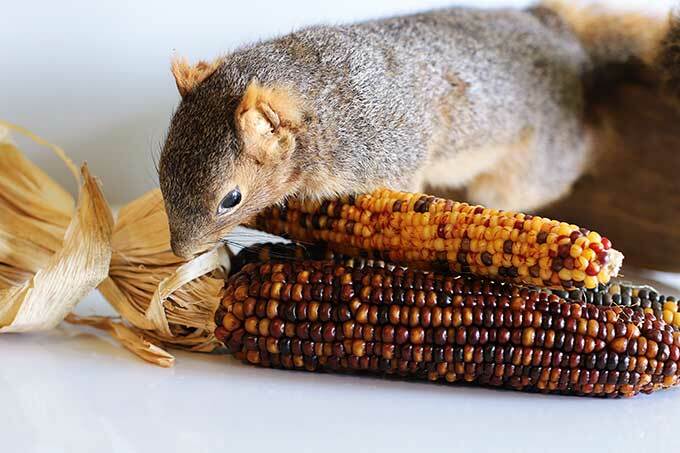 In that post, a reader innocently asked if the squirrels around the house would try to eat the corn. We do have plenty of chipmunks running around here, but I have had corn stalks on my porch off and on for YEARS and I never had a problem with those cute little guys eating my fall displays. Never once. The chipmunks and I are buddies. Amigos. BFFs. And as for squirrels, I have never seen a single squirrel in the yard. Ever. Well not until Susie mentiond squirrels in her comment and then all of a sudden I see one of those stupid furry little rats with big tails poking around my porch. Darn you Susie, you jinxed me! But here’s the kicker, I think the squirrel came up on the porch to give a seminar to the chipmunks on how to eat corn or something. Corn Eating 101 taught by Skippy The Squirrel. The little guys were very well behaved until Mr. Squirrel showed up on the scene and now I’m down 3 ears of corn!. And I know it was the chipmunks because I saw one scurrying out of the cornstalks when I opened the back door. So I searched online and tried a few concoctions and theories and came up with a homemade squirrel repellent that seems to be working on both the squirrels and the chipmunks. Of course, there’s always the shovel over the head remedy, but I try very hard not to hurt other living creatures. Besides we USED to be friends. Oh, and BTW, the squirrel in these photos is the stuffed squirrel my son bought at an antique mall a few months ago. He’s long dead, probably 50 years dead, so it’s not like I killed Skippy to make some pretty photos or anything. 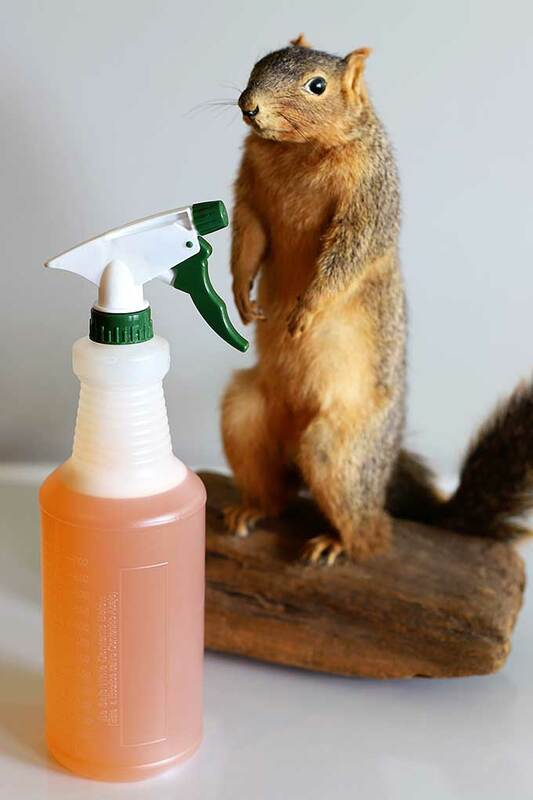 Spray your homemade squirrel repellent on your fall cornstalks, corn decor and pumpkins to keep the squirrels and chipmunks away. This won’t harm the squirrels and chipmunks, it will just deter them from eating your stuff. Disclaimer: Please don’t be silly and spray this stuff in your eyes or anything. It is a pepper based spray and it is HOT! Besides keeping them off my fall decor, it is also good for using in your garden. 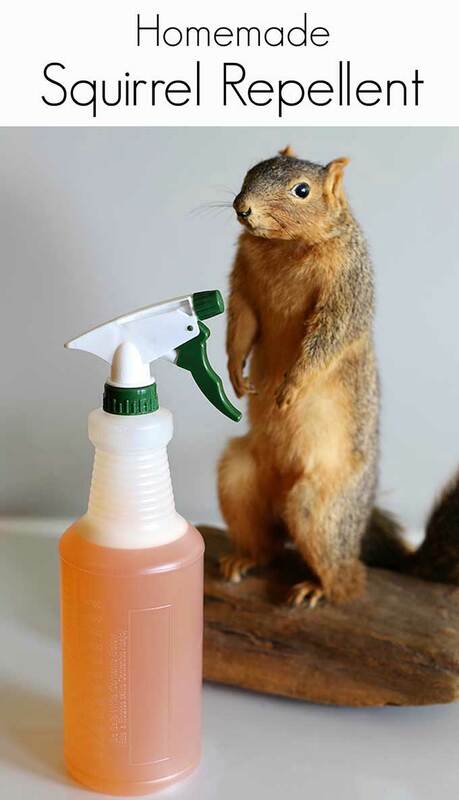 Just spray the areas you want the squirrels to stay away from. You may need to reapply after heavy rains as it would tend to wash away. Now if this homemade squirrel repellent would just work on snakes too, I’d be all set! You had me laughing with this post, Pam! 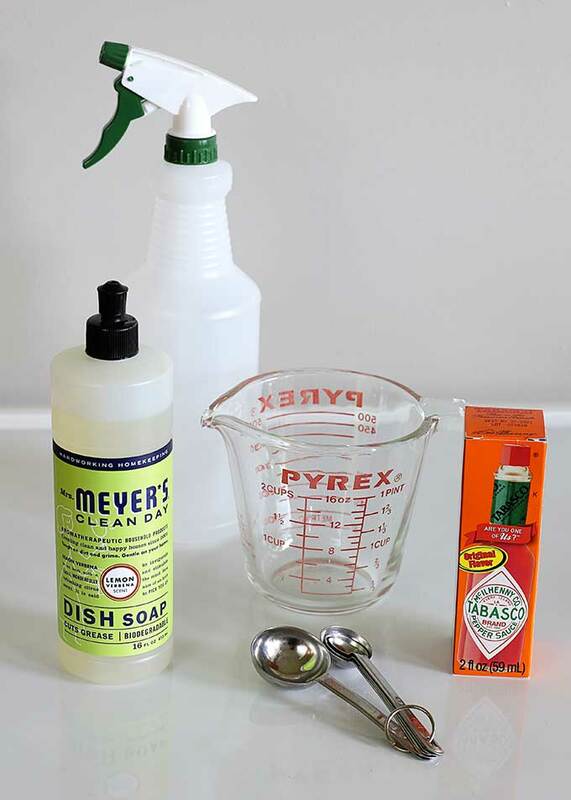 Pinning your repellent recipe! You are about one day to late with this post! I just had 3 out of 4 of my pumpkins eaten right down to the stalk by squirrels. They are bold in these parts, doing it right in front of me as I watched through the slider door. We’ve had an abundance of squirrels and chipmunks this year. It’s been known as the Squirrel Apocalypse. Hopefully this spray will help if I buy more pumpkins. It must have been the weather or something. So many more chipmunks than I’ve ever seen before this year! The odd thing is we have cornfields directly behind our house, so they could get as much corn as they wanted over there! This totally cracks me up. The last photo of the squirrel looks like he is shrugging his shoulders. Great post!! 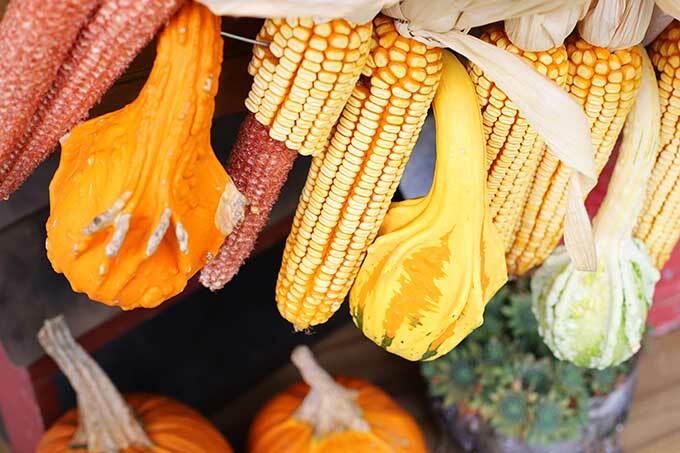 One year I had some Indian corn and some small gourds on my porch for Fall decorations. The squirrels were eating my corn, so I put cayenne pepper on the corn, but the little bugger was eating it anyway. My daughter said he thought, “this lady sure seasons her food good.” I also saw one running away with one of my gourds in his mouth. I see you added some other ingredients, so I”ll see if that makes a difference. There’s one that digs in my flower pots and hides peanuts. I am tired of them. I used to think they were cute, but after the problems I’ve had, they’re not my friends. I know! The chipmunks bury acorns in my flower pots in the fall and it drives me nuts. Every spring I have to replenish the dirt because they have so much “stuff” buried in there I’m afraid the plants won’t have enough good dirt to grow well! I have the same problem. I used plastic fencing. It has the larger holes. I cut a piece to fit the pot. Cut a slit and an opening if around a larger plant. Lay it on top of your dirt. The squirrels can’t bury anything. Sorry, I never meant to give you a squirrel jinx. We don’t have chipmunks here in my area, Until now I always thought they would be so cute to have around, but now I don’t know how I would defend against chipmunks plus all of the squirrels we have, It sounds like the naughty squirrel that you have is in command of the chipmunk minions. I’m going to try mixing up some of your squirrel repellent to use. The squirrels here destroy my tomatoes, dig into my flower pots, and chew on the phone/internet connector (or some part) out on the telephone pole in our back yard and we occasionally lose our phone/internet/tv connection.. I’ll try your repellent on my tomato pot area, not plants, and around my flower pots. Uverse will have to deal with the whatever those squirrels do out on the telephone pole. A few years back I had one of my “light bulb” moments and decided to try putting Vicks Vaporub around the edges of the flower pots to repel and punish the squirrels. Bad Idea!! It kept the squirrels away, but even though I just put it around the edge of the flower pots, it killed my plants. Vapo-rized them maybe. I did a second take when I saw the squirrel in your pictures. So funny the ways you had him posed. 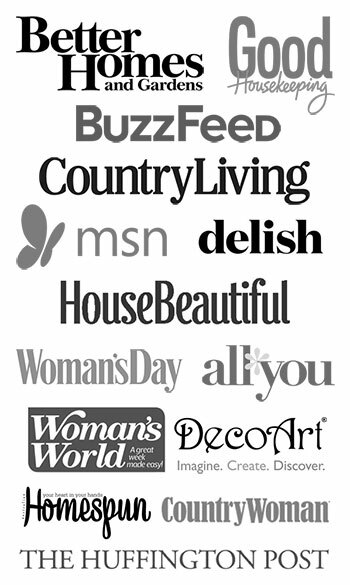 Does your son have a name for him/her? We named him Rocky from the Rocky & Bullwinkle cartoons. 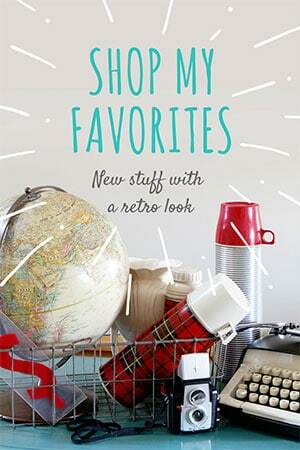 The first one we bought was called Dusty, because he was all dusty from sitting at the antique mall for a while. Sorry about your Vicks problem. I used to eat that stuff when I was a kid. That probably explains so much! No I don’t, but I could sure use one! I’ll have to work on that! I need gallons of this stuff! Thanks for the recipe! Lol, you cracked me up about Skippy being stuffed. I need a fifty five gallon drum of squirrel repellant! We live in the woods and they are thick!!! They have destroyed the legs of all my wicker furniture on the front porch, chewed holes in my back porch screens and pulled stuffing out of my new porch cushions ($19.99 ea), They are so bad I can no longer put corn out this time of year, even pumpkins, they will eat holes in them! Oh this is funny, we’ve got hearty squirrels—as we died laughing watching one trying to carry a medium pumpkin in his mouth away, but he had to stop and pant/rest every few feet. I think this might do the trick, thanks. But, how will we know when our vegetables are ripe, unless they have chew marks in them? LOL. You can actually spray it ONTO the seeds which sounds a little mean, but birds can’t smell or taste, so it won’t deter them from eating it and it doesn’t hurt them. I would substitute vegetable oil for the soap (evern thought it’s non-toxic I wouldn’t want to eat the soap myself)! See this article from Birds and Blooms – http://www.birdsandblooms.com/birding/birding-basics/can-birds-smell-taste/ . Is this safe yo use on electrical systems in my cars, where the most damage is done? Not sure if you want to get the electrical system that damp. Not sure if that would be an electrical hazard or not. I haven’t tried it, but I would think so! You may have to reapply when it rains though. My mother had the same issue with a few squirrels that didn’t care about the Tabasco flavored plants. So, we went full evil on the little jerks. We have a few places in our area that have novelty bottles of hot sauce. Labels that say things like “Carolina Reaper”, “Extreme Ghost Pepper”, and “Ultimate Insanity Hot Sauce”…let me tell you, those little jerks avoid the garden like it’s a nuclear waste site. We mixed it similar to the recipe above. Sprayed it on the eaves of her house cause they were trying to get into the vents to the attic, and haven’t seen a single one on the roof since. We have lots of squirrels and they are no problem at all. It’s those darn destructive chipmunks I want to be rid of. If you come up with a solution for that, I’d sure like to hear about it. As it is, we have had to invest in a live animal trap and then transport them well out into the countryside. They are also fond of watermelons and cantaloupes.